Many authors and self-publishers would have come across the term ‘print on demand (POD)’ during the course of publishing, but there may be some confusion around what the term means exactly. How does POD work? How does it differ to other kinds of publishing or printing? And most importantly, should you do it? Self-publishing expert and founder of Pick-a-woo woo Publishing Group, Julie-Ann Harper, gives us a breakdown of the terms used, the processes involved and the benefits of POD. Print on demand (POD) is simply a printing technology available to all publishers (including self-publishers/DIY publishers, author-publishers, independent and small press) for low print quantities. Instead of having to manufacture hundreds or thousands of books at any one time, as ‘offset’ printing does, POD allows you to affordably produce quantities to order. There’s no inventory being stored, or anticipated demand being measured. You simply get an order and print a book, one at a time. Trade publishers, small press and ‘pay to publish’ organisations all use POD as part of their overall business plan. It allows them to test the demand for a new genre, author or series and then print traditionally (offset) if successful with readers. Publishers of academic or low-demand content use POD for front list titles too. Predict sales, offset print (bulk) and then warehouse the number of copies they thought could be sold. Unfortunately, the estimation was often wrong. Pay to publish through a third party (known as vanity publishing or predatory publishing because of the inflated costs involved and preying on authors ignorance). POD offers the opportunity to print and distribute at low cost and low risk. 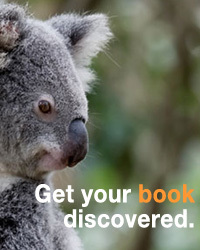 There are four POD providers that Australian authors can look to—CreateSpace, Lightning Source, IngramSpark and Blurb—with some of these providers also offering ‘production services’ to help create your book. If you have a book file ready, we recommend dealing with IngramSpark directly for POD as, besides having global distribution and printing, their local printing facility makes shipping books within Australia more cost effective. However, you will still have the task of marketing and promoting your book no matter which platform you use. A digital file of the book is stored on computer. The book title is added to various distribution channels and online bookstore catalogues. An online store such as Amazon, Barnes and Noble, Book Depository etc. From a retail outlet or bookstore via phone or visitation. From a publisher or author website. The order is then entered into the electronic POD system. The book file is downloaded to a POD press from data storage. The POD press automatically prints and binds the book as part of a single integrated process. To a bookstore for pick up at the store. To an online store’s shipping department for reshipping to the customer. • Eliminate the need for inventory. No warehousing and fulfillment costs—get an order, print a book, one at a time. • Simple to revise, if needed. Titles can easily be updated or corrected. Add a great endorsement or fix a typo you cannot live with (it happens). • Test the market. For most self-publishers, it is an ideal solution to test the demand of your book. • Easily fulfill orders. Remove the burden of shipping your book to your readers, and continually make a title ‘available’ online forever. • Excellent print quality. The print quality of POD has improved to the point that it is virtually indistinguishable from a traditionally printed book. With cutting-edge inkjet print technology, sharp graphics, crisp text, and vibrant colour, it is indistinguishable from an offset copy. • Low risk. Reduces self-publisher’s financial risk to bring a book to market. • Variety of options. Print in paperback, case laminate (hardcover) and cloth based hardbacks (with or without jackets); a wide variety of trim sizes (including landscape now); black and white, standard colour or premium colour. The offerings are constantly being expanded. • Distribution. You can tie your POD book in directly with distribution to 39,000 retailers and libraries, if you choose IngramSpark who are considered the global leader of this technology. NOTE: Some books do not lend themselves to POD because of the design, or trim size, or if it is a book designed with foldouts or pop-ups. Furthermore, when a book really starts selling well, print on demand might not be the most economical way to go. We usually advise the tipping point being 500 books to review the printing platform utilised. Julie-Ann Harper has 25 years of experience in publishing, business training, self-publishing workshops and presentations. Julie-Ann is a passionate advocate towards true self-publishing and helping authors to view publishing as a business. Pick-a-WooWoo Publishing is the only Australian company listed under IngramSpark’s Resource Experts page as an ‘IngramSpark Self-Publishing Friend’.